You guys seem to like pictures of tools,,,,you guys have been asking what tool we use on the N63 fuel injectors,,,,the first generation fuel injectors that always went bad,,,BMW makes a tool for everything,,,this is something some of us tech use which is much easier and faster then the factory tool,,,,here is a picture of a heel toe pry bar that I use ,,,,,this one is not too big like some of them,,,,,some of the other techs use the bigger one,,,,at that point it’s what you like best…you can see where the toe of the pry bar is placed under the shoulder of the injector. Ok here the picture of the injector holes and spark plug holes,,,,,the holes on the left side are the injector holes,,,,in the middle you see a small bolt hole on a ledge ,,,,that’s where you place the heel of the pry bar for leverage,,,,and the toe part of the pry bar goes under the injector and you pry up,,,,,we have found on some of the injectors really get stuck in there,,,,just spray the down with some wd40 to loosen them up,,,,remember to clean the injector bores when putting in new injector,,,,hope this helps. 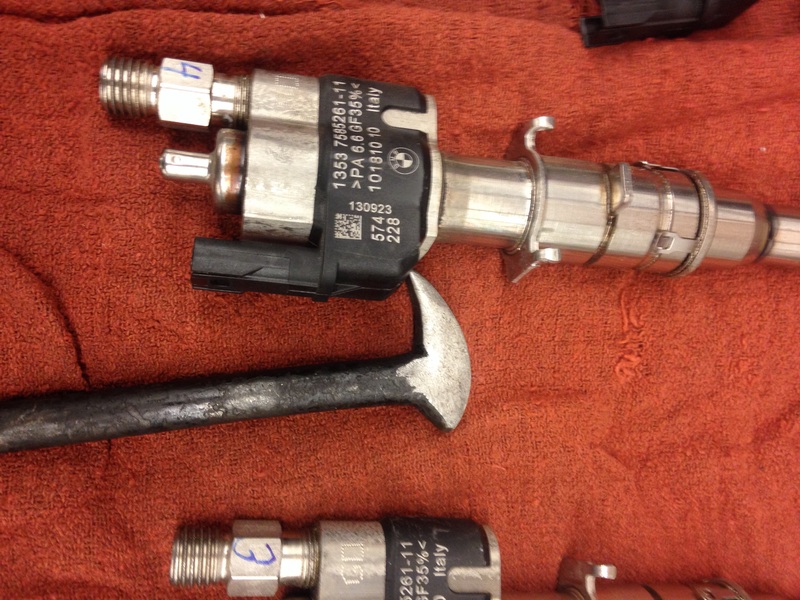 This entry was posted in Uncategorized and tagged N63 injector tool, Pry bar. Bookmark the permalink. 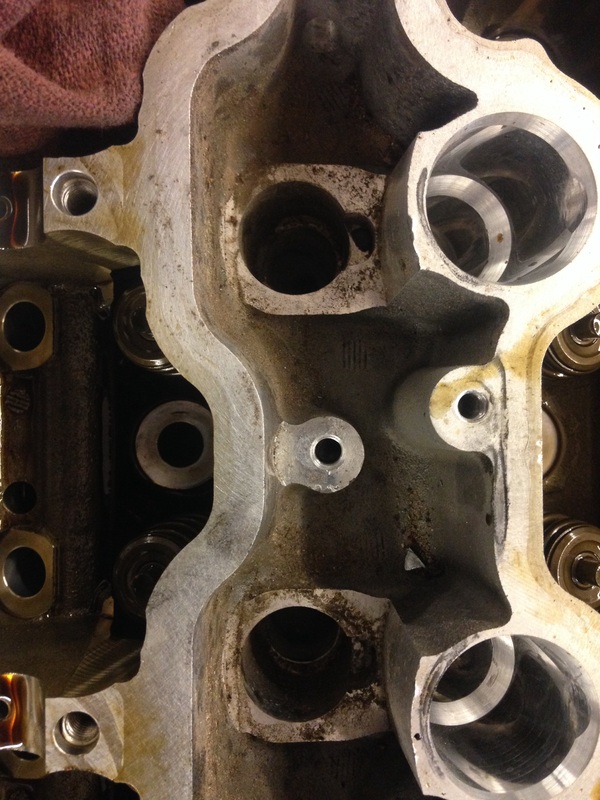 I notice these are the series 11 injectors…don’t say they go bad- my car has eight of them!! No these injector are not bad,,,,I just used them as a demo,,,,they were out of a car because we were performing the timing chain replacement.